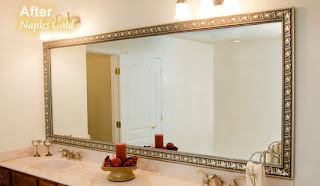 Why settle for a bare mirror? customize mirror framing is now in cebu.. You can now transform the looks of your bathroom, living room and or bedroom. we have different kinds of polyesterene moulding for you to choose. You can now dress up your ordinary mirror into a decorative mirror frame from DM Cebu frame.